Why Are We Called "The Loft"? 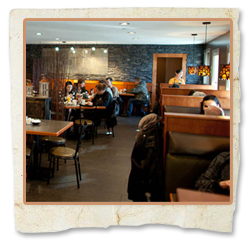 Quite simply, "The Loft" found it's name because our restaurant sits in the upper floor of the SandyView Deli in Spruce Grove. It only makes sense, hey? "The Loft" Restaurant is a natural extension of SandyView Farms. With our outstanding Deli just downstairs at SandyView Farms, we have an amazing selection of healthy, fresh choices to serve our customers. 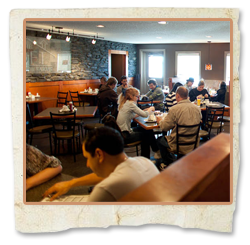 The same wholesome values of quality that we've poured into the SandyView deli is also invested in our restaurant. We find it important to ensure our food is fresh and full of flavor. We also are able to serve you the same products that we sell in our Deli. You could say that you have the opportunity to "try it, then buy it". Give it a taste in the restaurant, and if you love the meal, you probably could find the same cut of meat downstairs in the deli.